Love the cover. I can't wait until February. Wow - SUPER cool! I can see people snapping this up for cover impact alone! You lucked out!! The cover looks good, though I'm surprised the 'catchphrase' got repeated on the book. Then again, it does say to repeat, so it makes sense. Sorry I didn't make my goal to get in the book, but I gave it my all at least. About 25K total, half isn't too bad. 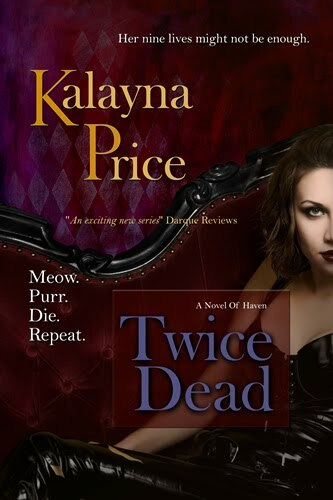 Can't wait to read Twice Dead! Ooh - dark and evocative! Love it! Congrats Kailia! What was your final wordcount? Jeffe, I agree! My publishers do an awesome job with covers. Greg, 25k in one month isn't bad! And it's more of the story than you had before. You're going to keep working on it, right? Sweet! Can't wait to read it. Awesome cover! Do you have an actual release date? or just "late February?" I love the beautiful cover. I finished about 10p.m. The srambling got on my nerves so I uploaded it as is and Nano says I finished at 50,049, even though my computer said more. But who cares? I won. Yay, that's so exciting. Nicely done. ;-) I have to confess that I have still not finished Once Bitten because my amazing ADD has sent me off on two other book series, but now that NaNo is over, that is my first priority on reading, so I can be ready when Twice Dead comes out! As far as NaNo goes, I won! And you can put me down as Heather Kenniz of course. So honored to have a place in the acknowledgments of your book. ;-) It's got to be the best prize possible besides the general feeling of accomplishment and of course all the words I have to work with now. Great cover. Look forward to the read. Just read Once Bitten and loved it enough to Google you and find out when the sequel was coming! :-D Great to hear it's on it's way, and I can't wait to see where you take these characters! As an aside, I'm a fantasy writer with a first novel I'm trying to get published. Any tips for what to do/not to do? Thanks for the great story!! Thanks so much Toni! I have all kinds of tips I'm happy to share, but getting them all in one little reply would be a trick. If you check out the labels section on the right side of my blog and click on the label "Writing Craft" all of those posts are full of writing tips. 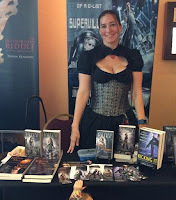 I also have posts about the business and some behind the scenes type posts about being a writer (in writer's life). If I had to boil everything down to just one sentence of advice, it would be to just keep writing. It sounds like a cop-out, but you get better with every word you write and they say it takes two of three things to make it into print: Talent, Persistence, and/or Luck. So keep writing--it will pay off. Good luck! I just read once bitten, I LOVED it. 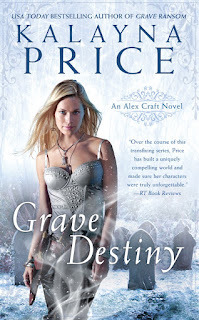 I am a new big fan of you now, I totally can't wait for the next book in series. Keep up the amazing work.